The time has come for our leaders in Congress to do what is right and pass legislation that will provide a permanent solution for the nearly 2 million young people who were brought to this country as small children by undocumented parents or family members. Far from Washington, on the other side of the country, the issue of these young people, known as Dreamers, is urgent. More than one quarter of the Dreamers live in California and by most estimates there are about 125,000 living within the borders of the Archdiocese of Los Angeles — more than anywhere else in the country. This week, my brother bishops and I are announcing our support for the “Uniting and Securing America (USA) Act of 2017” (H.R. 4796). This is one of four bills introduced to replace the Deferred Action for Childhood Arrivals (DACA) program, which protects the Dreamers from deportation and provides them permission to work. 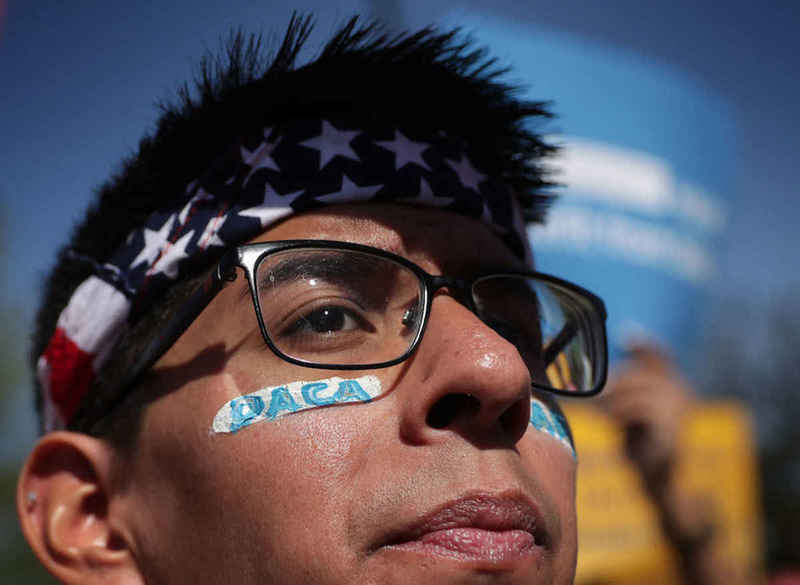 President Donald Trump ended the DACA program on March 5, although his decision has been challenged in the courts. The USA Act is compromise legislation that has bipartisan support. It would strengthen security along America’s borders through the use of electronic and other technologies and improve U.S. efforts to assist the economies in Central American nations. These are important measures that my brother bishops and I have been advocating for years. The USA Act would also permanently protect Dreamers from deportation and provide them a path to finally become citizens in our country. I am urging the Speaker and the Majority Leader of the House of Representatives to allow debate on this critical issue. For several years now, immigration reform has been blocked in the House by a small group of lawmakers who are using their leverage to prevent any legislation from being brought up for a vote on the House floor. This situation is not fair and in fact it frustrates the will of the American people. There is broad bipartisan support — in the country and in Congress — to resolve this issue. Opinion polls show that three-out-of-four Americans support granting these young people a permanent legal status. In addition, state and local chambers of commerce and business leaders representing every sector of the economy have all urged Congress to help these people. So, there is no reason for the House of Representatives, the people’s chamber, to continue to deny a vote on this issue. This is not about Republicans or Democrats. It is about right and wrong. As I have been saying for years now, both parties are using this issue for their own political gain. Even now, we can see there are still some who seem content to sacrifice the Dreamers’ futures for the chance to mobilize voters in the next election. This is heartless and cruel. It is time to stop. People’s lives are in the balance. These young people did nothing wrong and yet they have spent their entire lives in a kind of legal limbo, with limited rights and opportunities and no certainty about their future. By any measure, these are the kind of young people that our country should be encouraging. Nearly everyone — 97 percent — is either in school or in the workforce. Many serve in our armed forces and law enforcement. Our country is the only country these young people know — many are now in their 30s — and they are Americans in everything except for their legal status. It is long past time for this country to do the right thing and welcome them to make their own contribution to the American dream. My brother bishops and I would prefer a “clean” bill that would simply grant legal status and a path to citizenship for the Dreamers. But this is no longer realistic. The longer these debates drag on, the greater the risk that Congress will do nothing before November’s mid-term elections. And it is unconscionable to allow another year to pass without finding a solution. The USA Act represents a good-faith compromise on both sides — trading assurances for the Dreamers in exchange for border-security improvements. We have at this moment a bipartisan way forward that will strengthen America’s borders, improve conditions in Central America that are root causes of illegal immigration, and will offer compassion to those who have come here seeking a better life. This is a victory for common sense and our common humanity. It is time for those standing in the way of a solution to stand down. Pray for me this week and I will be praying for you. And let us join together in praying for the leaders of our great country. Let us ask our Blessed Mother Mary to intercede for us and guide our leaders to do what is right.